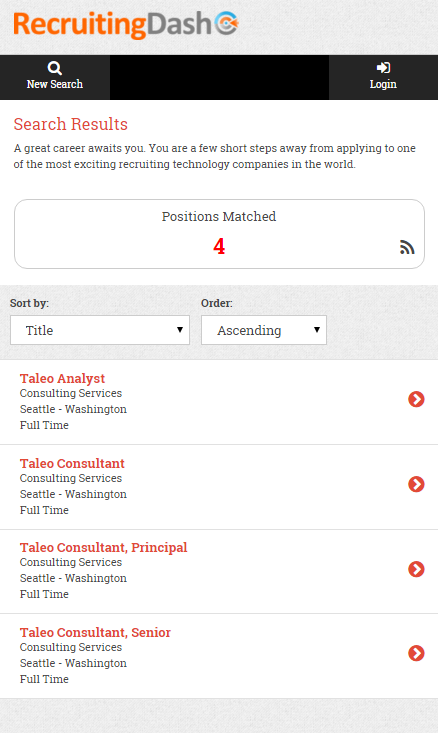 Learn more about Setting Up this new Taleo Career Website technology today! Give us 7 days, and we'll show you how you can best take advantage of the newly released TBE Career Center technology. It all starts with our no obligation TBE Career Center Readiness Assessment. Over 50% of job seekers visit your career website from the small screen of a mobile device. you are missing HALF of the available talent. You must make it easy for candidates to find your jobs from the small screen of a mobile device. You must provide mobile applicants with a fast, streamlined, and easy way to apply to your jobs. Remember, people don't have their resume on their smart phone. Implementing TBE Career Center increases the applicant flow on every single open requisition, usually by 25%-50%. 64% of recruiters cite their company career website as significant source of hires. Provide a streamlined application for the 50% of job seekers who use a smartphone or tablet to visit your career website. Save recruiters valuable time. 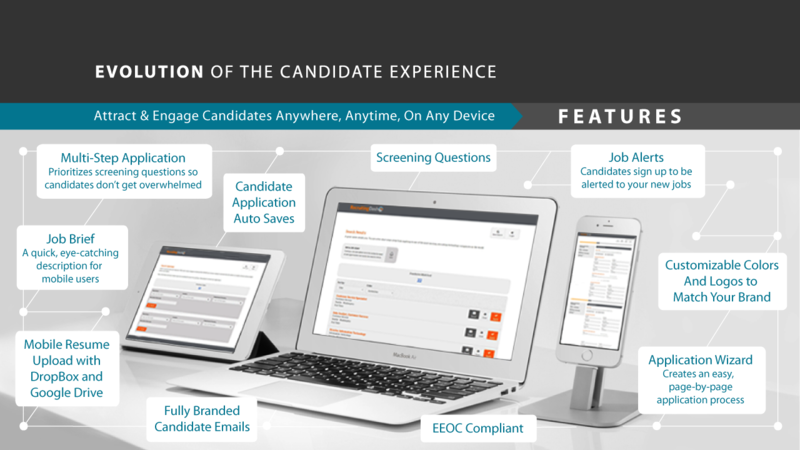 TBE Career Center automates candidate pre-screening and ranking. When setup properly, this helps screen out unqualified candidates so that recruiters spend time reviewing only the most qualified applicants. 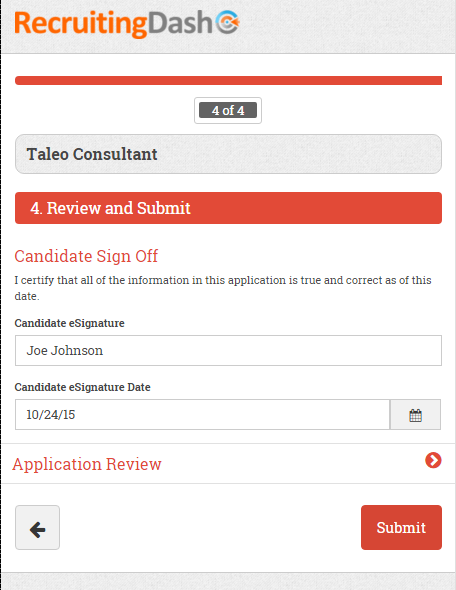 Most TBE users aren't taking advantage of Taleo's powerful 2-Step Application technology. 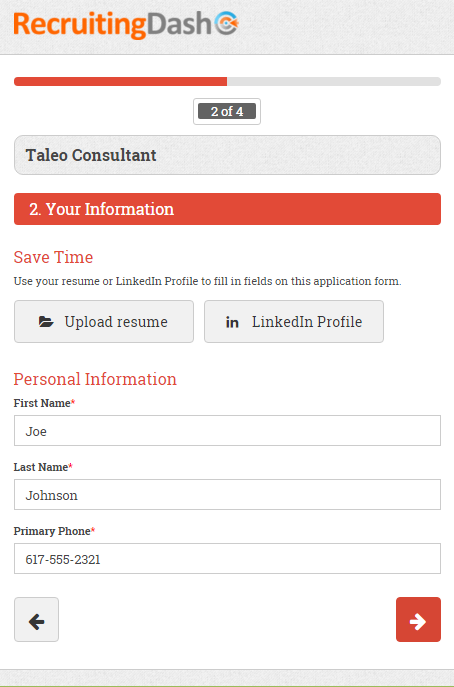 Combining TBE Career Center with the Taleo 2-Step Application is the best practice setup of Taleo Business Edition, regardless of industry or the type of talent your organization recruits. Easily engage "on the go" passive candidates by allowing them to email a job to themselves or their friends, or setup automated job alerts to notify them when new roles become available. Top talent and passive candidates will not take the time to complete an arduous online application, especially from the small screen of a mobile device. TBE Career Center delivers more high quality applicants! Generally the most visited section on a corporate website is the career section. TBE Career Center's fully customizable, contemporary style, mobile-friendly career website provides the image that you need to be competitive in the war for talent. There is virtually no other feature in Taleo that provides a return on investment comparable to that of TBE Career Center. now search and apply for jobs from a mobile device. With TBE Career Center your job search, job descriptions and online job application automatically resize to fit the small screen of a mobile device, dramatically increasing the number of applicants who complete your online job application, and improving candidate experience. Make it easier for millennials and other job seekers not on traditional computers to discover and apply for your positions. Properly configured, TBE Career Center combines cutting edge mobile career website technology with the TBE Two-Step Application feature, also available in your TBE system. This maximizes the number of applicants you receive on every open requisition. 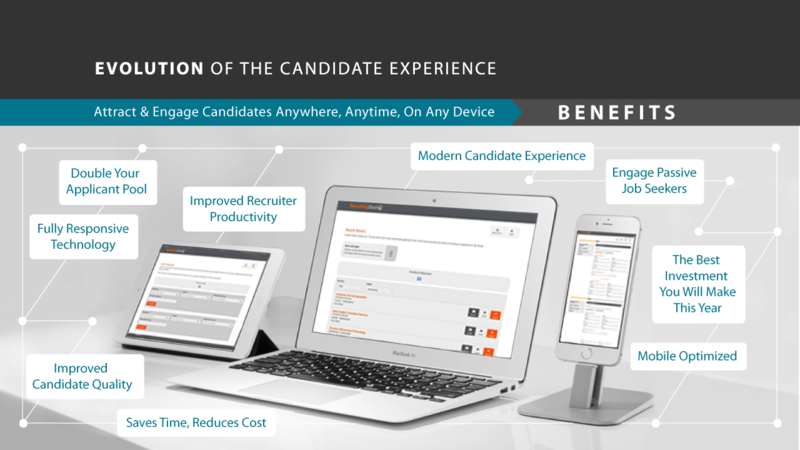 Responsive technology allows candidates to browse and apply for jobs on the small screens of phones and tablets from anywhere. TBE Career Center features Auto-Save online candidate applications, which means the application “saves as it goes”, preventing candidate frustration, reducing complaints, and improving the overall candidate experience. Actual TBE Career Center screenshots: Beautiful. Streamlined. Functional. Fully branded. 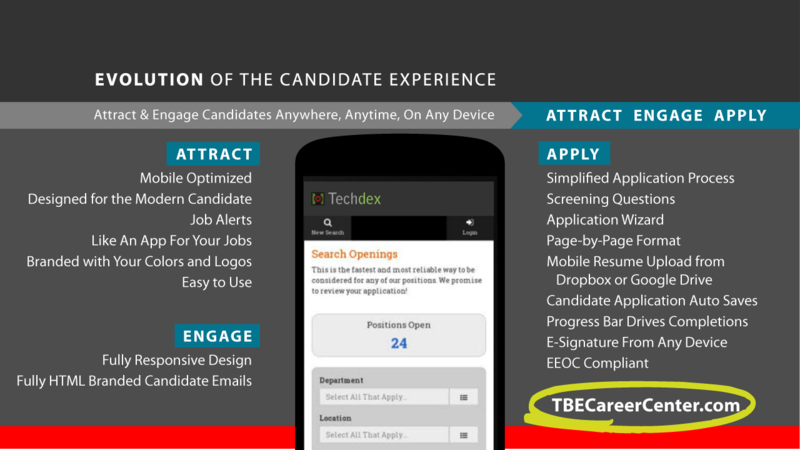 TBE Career Center provides an "app-like" experience for mobile candidates. Every page auto sizes to the right format for smartphones and tablets. Mobile-Friendly Navigation makes it easy for candidates to browse through positions. Job descriptions automatically formatted to look great on ANY device. Branded with your logo on all TBE Career Center website pages. "App-like" experience including mobile friendly fields and navigation. Work and Education History auto-populate from LinkedIn or resume import. Application Progress saved at each step which greatly improves candidate experience. Candidates can review their data before final submission. No pinching, zooming or scrolling allows candidates to quickly and easily engage. Fast & easy job searching and sorting = more completed mobile applications. Customizable data fields shows the right information at the right time. Multiple Apply Now buttons provide an efficient funnel to maximize applicants. Email Job Feature allows mobile users to send job for later application. Progress bar maintains engagement level of mobile applicants. Integrated "Apply Via LinkedIn" feature delivers more applicants. 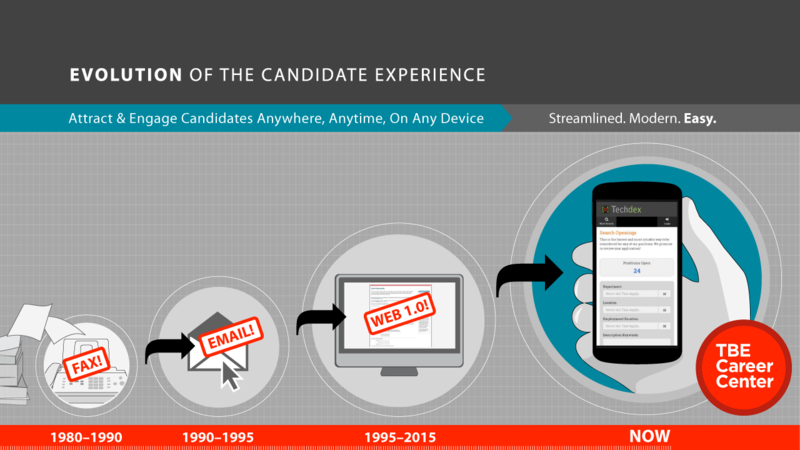 Mobile Friendly Rolling Entities allow flexibility for candidate work and education details. Makes it easy to provide a streamlined version of your application for mobile visitors. E-Signature technology maintains compliance even for mobile candidates. Sounds Complicated... How Do I Get Started? The First Step Is Easy. And Free! As part of the free Taleo Career Center Readiness Assessment, we provide a data-driven, tailored business case for improving and optimizing your Taleo Career Website. The business case will drive meaningful conversations with your HR and corporate leadership team regarding career website best practices and how your organization will reduce cost per hire and time to fill with TBE Career Center.